So, a guy’s gotta eat, right? With the advent of Spring I decided to make pork ribs for dinner yesterday. Having grown up in Missouri I have a natural tendency toward good BBQ. Although, “grown up” might be a stretch. Let’s just agree that I lived the first 30 years of my life there and not digress into discussions of my maturity, ok? OK.
First, start with some quality pork ribs, either baby back or loin ribs trimmed St. Louis style. Have the butcher pull off the membrane from the bone side, rinse them with cold water and pat them dry. Then I puncture the meat between the bones with a fork from both sides and rub in some lemon juice. Cover liberally with your favorite dry rub and wrap in plastic; leave then to marinate like this for a few hours. I usually make my own rub, but most of the store bought ones are pretty good. It’s usually a base of salt, pepper, paprika and brown sugar with other spices like cumin, celery seed, chili powder, “smoked” paprika, dry mustard and maybe finely ground coffee. It’s fun to play with. 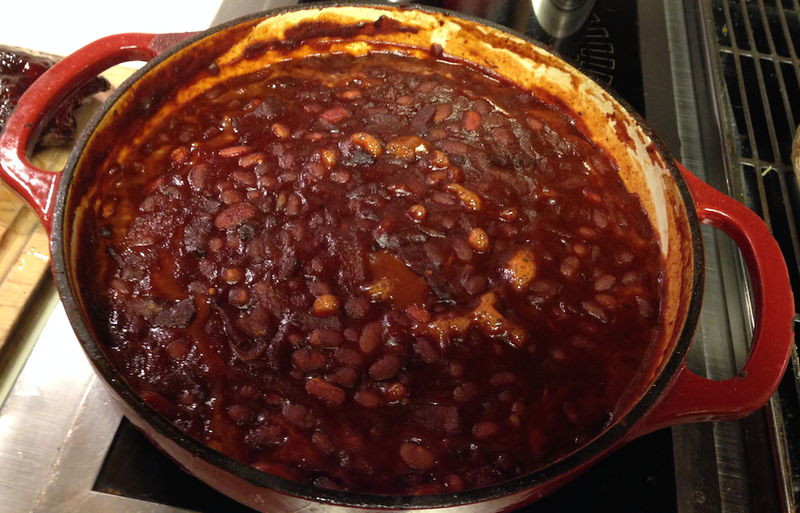 About two or three hours in I decided to start on the baked beans. I use three kinds of beans, and I drain the white and pinto beans. I keep the “sauce” from the canned baked beans. 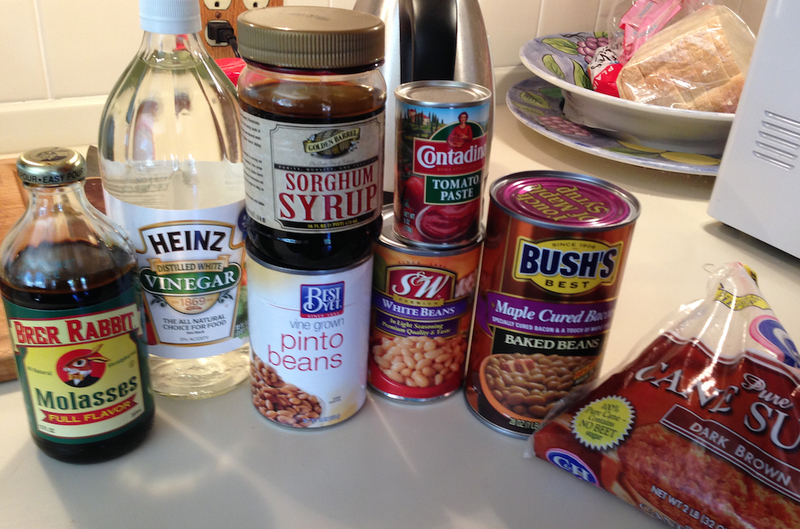 Mix the beans with 1/2 cup of brown sugar (packed) and 1/3 cup of molasses and sorghum syrup. 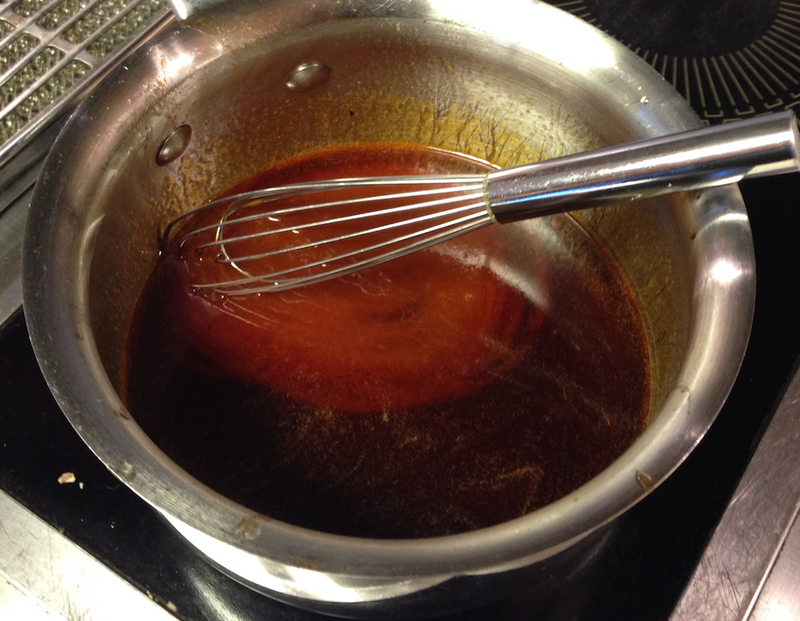 Add in a table spoon each of dry rub, dry mustard and BBQ sauce, and a small can of Tomato paste. Mix in half a bottle of your favorite beer. 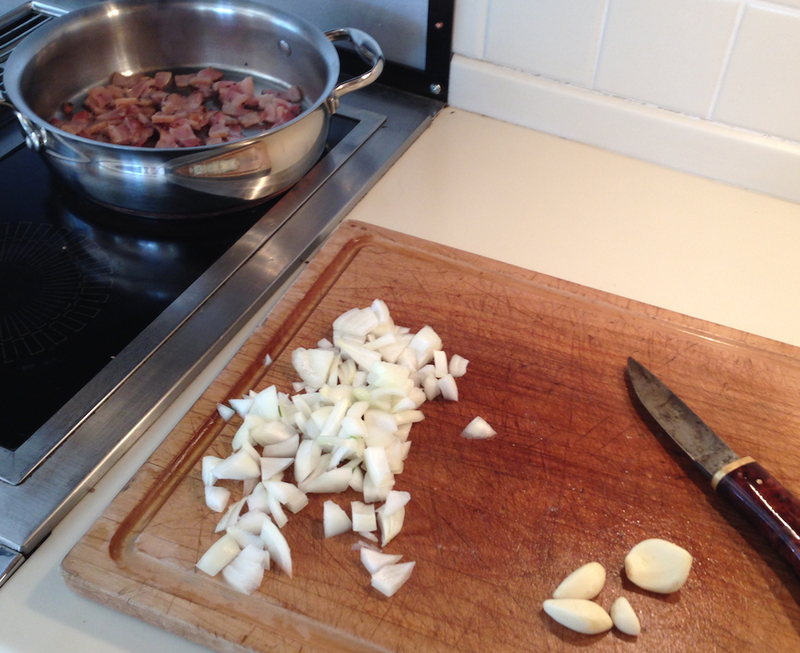 Meanwhile brown about 1/3 pound of bacon in a skillet, then add it 1/2 diced onion and some fresh garlic. Saute until the onion and well cooked. The pan will have some crust on the bottom from the bacon, deglaze the pan with a 1/4 cup of white vinegar and turn the entire mixture into the pot with the rest of the bean mixture. 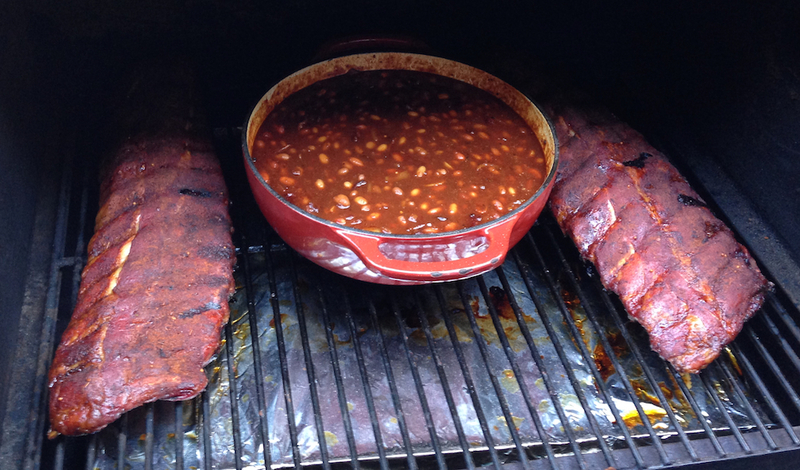 Stir and put on the smoker with the ribs. When you do your hourly spritz with beer or apple juice give the beans a stir too. After the ribs have been smoking for about four hours it’s time to wrap them. 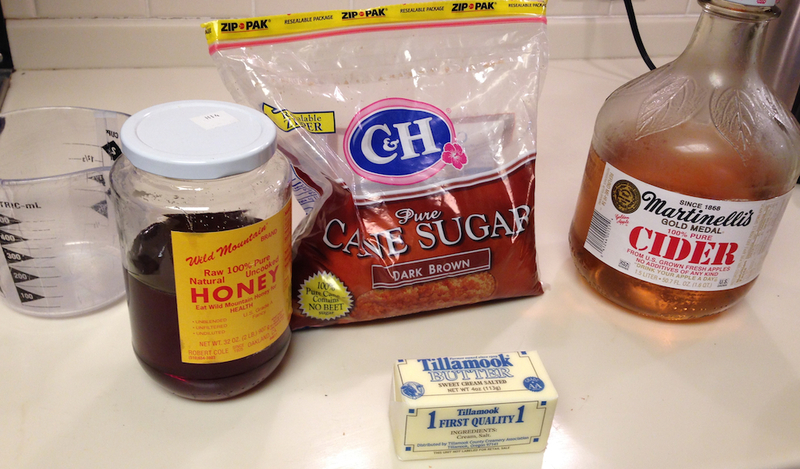 I mix together 1/3 cup of the following: butter, honey, packed brown sugar and apple juice. Warm it in the microwave to melt the butter. 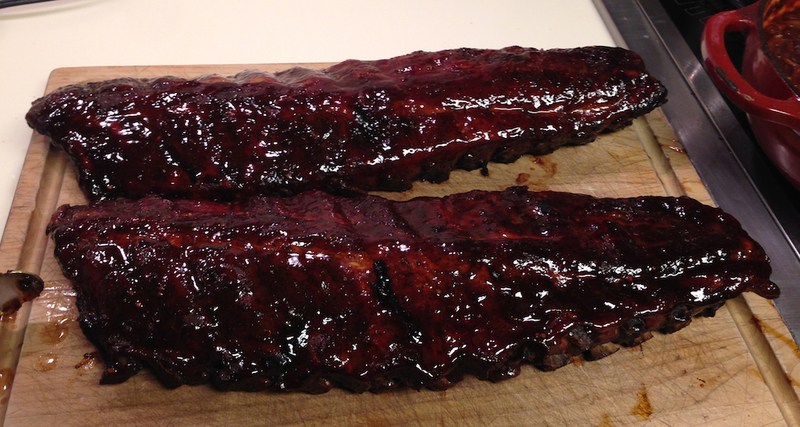 Pull the ribs off, put them on a double layer of aluminum foil and pour half of this mixture over each rack. Close the foil tightly and put back on the smoker for another hour or so. Keep the temp at around 190 degrees, after an hour pop open one of the foil packs to check, you should see about 1/2″ of bone protruding from the edges of the rack. If not you could give it another 15 to 20 minutes wrapped, but be careful. Too much time in the foil will lead to limp, soggy ribs. Finally, the ribs are done. In total I had these on the smoker for 7 hours, they were ready at 6 hours but I had an 8pm work meeting I had to dial in to so I just left them in the smoke until that was done. I have to say, these are the best ribs I’ve made to date. Great flavor and perfect texture. 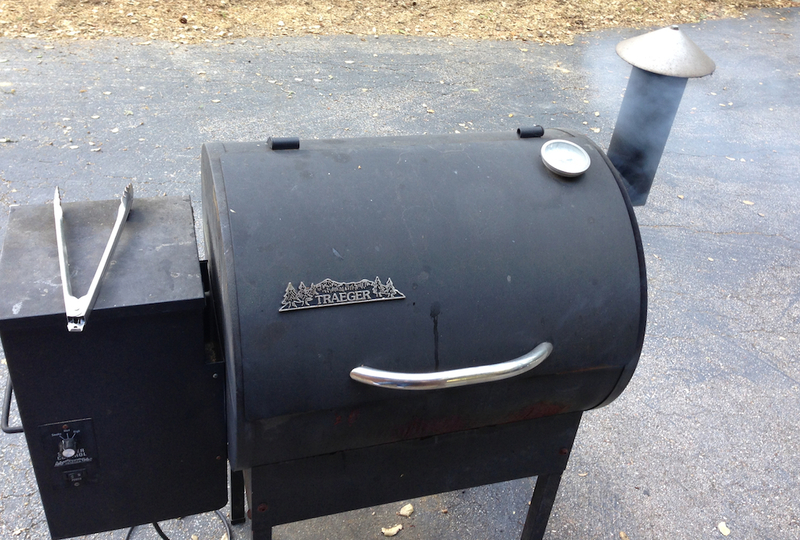 The outside had a nice sweet and tangy flavor, the meat was tender and smoky. The beans are great too. I made enough for a small army I think, my son asked me if we were having company. Next up: finishing and installing the Byrdcliffe-inspired cabinet. Eww! thanks for sharin’! I have a Trager too and I’ll put this information to go use .. asap! That’ll be a fun surprise for soemone!